I have been a big fan of Weleda ever since I first tried their calendula baby face cream and since then, I've come to rely on their teething granules and have worked with them to put together some fantastic goody bags for #midsblogmeet. So, I thought it was only fair for me to share with you a little Weleda love, in return for a bit of blog loving. 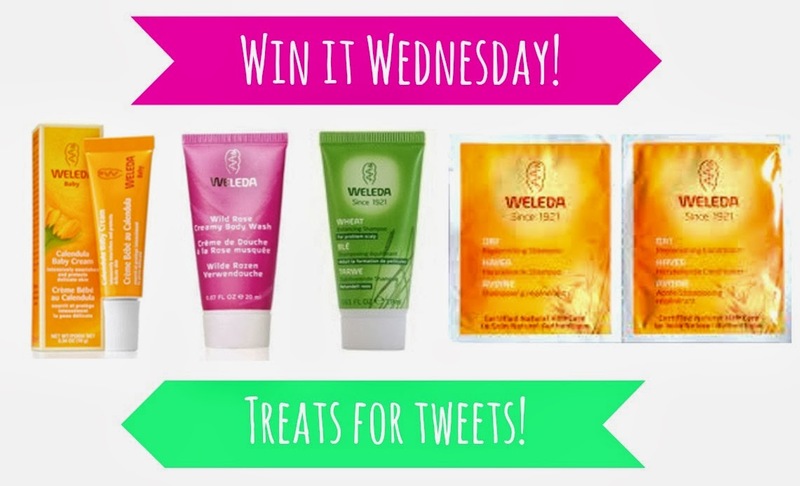 For the next couple of weeks, I'm running a mini 'win it Wednesday' competition where I will choose one lucky person to win a selection of Weleda samples, just for following me on Bloglovin, liking my Facebook page or RT'ing my tweets. Just let me know when you've followed me, either on Twitter or by commenting on this post, so I know to enter you in the competition. Weleda kindly provided samples to me for the blogger event I co-organised and I had a few left over so I wanted to put these to good use. Postage will come out of my own pocket so really, this is just a bit of fun and a way for me to say thank you for reading my blog.